Stephen Hicks is from Somerset, UK, and is studying a PhD in earthquake seismology and geodynamics at the University’s School of Environmental Sciences. 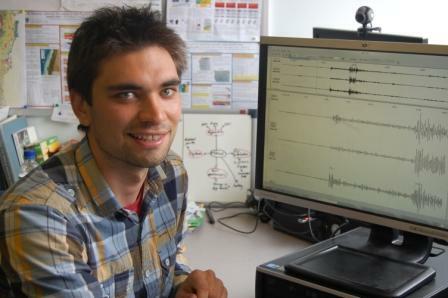 He graduated from the University at undergraduate level in Geology and Geophysics in 2011 and has now joined Professor Andreas Rietbrock and his research group to explore the causes behind the 2010 Chilean earthquake – the biggest earthquake in South America since the 1960s. The magnitude 8.8 earthquake in Chile caused widespread damage to buildings, bridges and roads and was estimated to have killed more than 500 people and affected the lives of two million overall. Resulting in a Pacific-wide tsunami, it is the sixth largest earthquake ever to have been recorded. 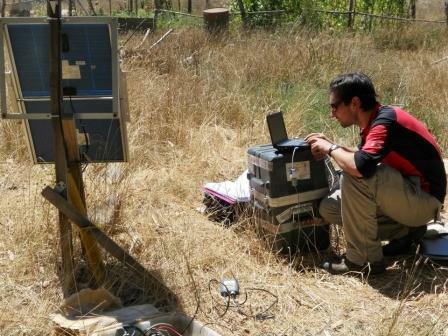 Immediately following the earthquake a team of international scientists, including Professor Andreas Rietbrock at the University, deployed a network of seismometer and GPS instruments to analyse the aftershocks and ground deformation. To investigate why these large earthquakes occur, Stephen is studying the rupture zone of the quake using aftershock data recorded by the seismometers. The aim of the research is to provide valuable information about the geological nature of the earthquake zone, which could contribute to identifying other areas at risk of future quakes. Comparative data between the Chile earthquake and the Japan quake in 2011, for example, could help authorities in other risk areas of the world plan for these large scale events. Stephen continued: “We can already see similarities between the way in which the Chile earthquake occurred and events in Japan last year. If we can understand the controlling factors behind these quakes, then we can start to look at mapping regions of the world where they might happen again. Results from the first phase of the study, which is expected to run until 2015, are expected to be published in the summer this year.